Zc086. 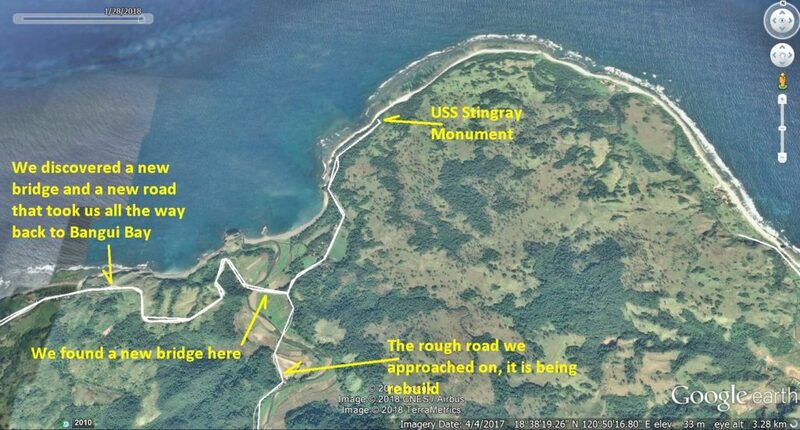 Here is the location of the USS Stingray Memorial at the Caunayan Bay in Pagudpud Town, Ilocos Norte, here is a big picture. It also shows our GPS track getting there. 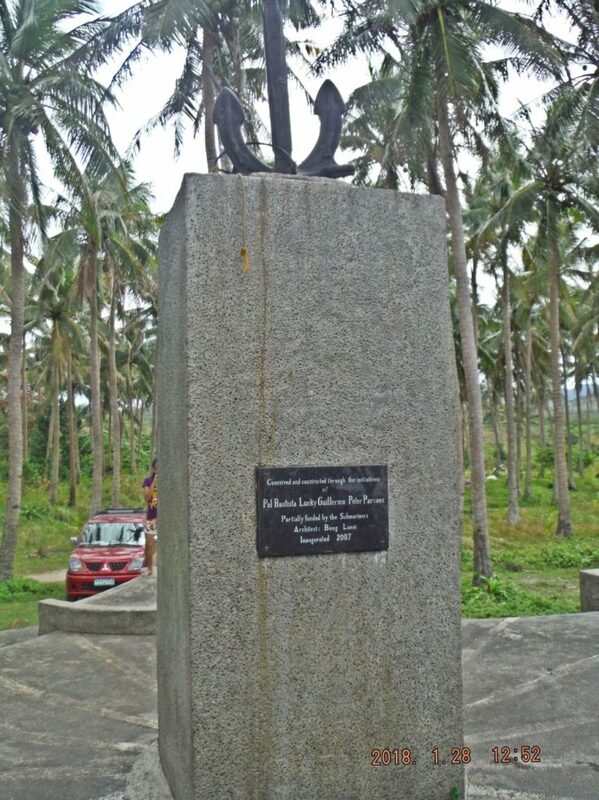 A friend and I toured North Luzon and we put this Memorial on our schedule. It was a special thing to me, since I am a U.S Navy man, and I am very much interested in Philippine-U.S History. Also two friends of mine were instrumental in getting it built. Zc087. 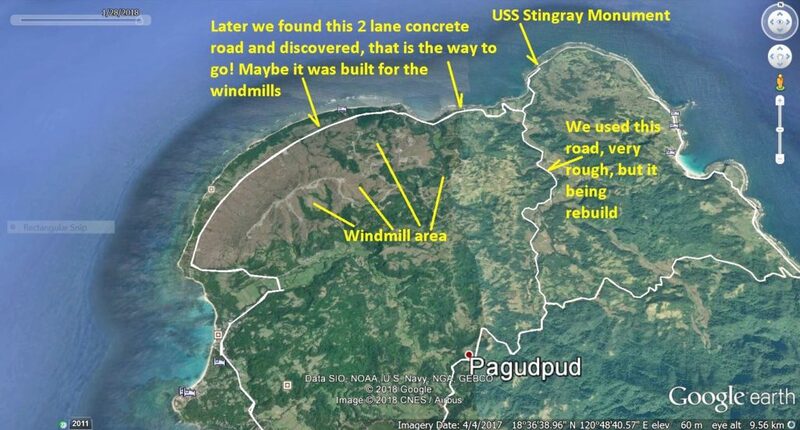 Here are the roads to reach the USS Stingray Memorial at the Caunayan Bay in Pagudpud Town, Ilocos Norte. It also shows our GPS track getting there. Zc088. 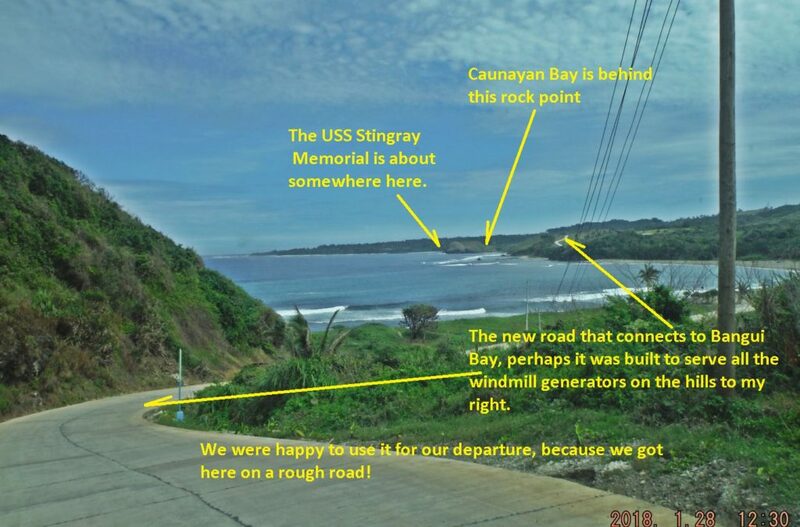 This is the exact location of the USS Stingray Memorial at the Caunayan Bay in Pagudpud Town, Ilocos Norte. It also shows our GPS track getting there. Zc089. 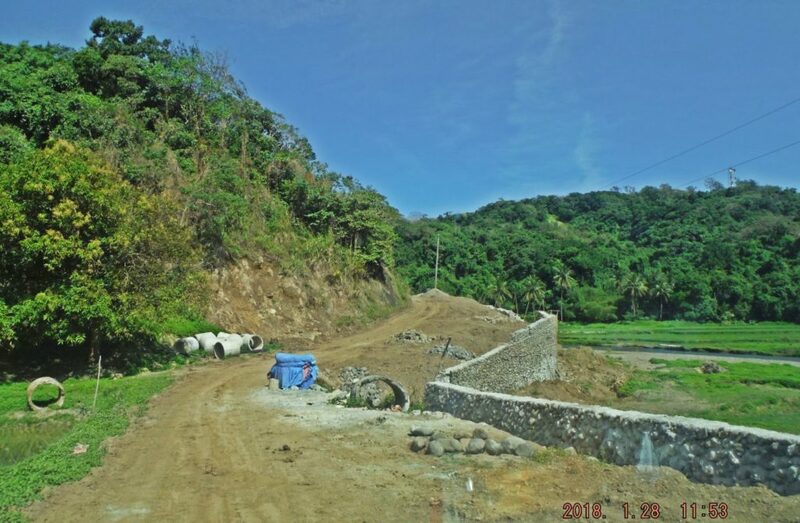 The old road to the coast and to the USS Stingray Memorial from Pagudpud town is being rebuilt. Zc090. 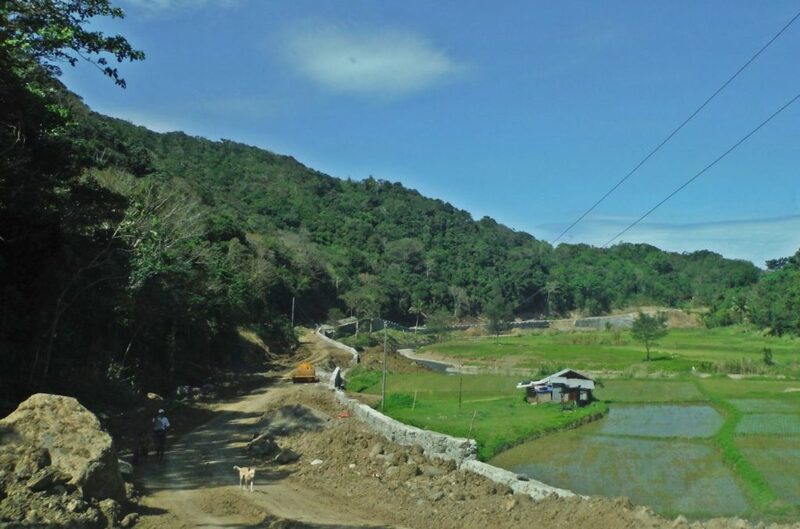 The old road to the coast and to the USS Stingray Memorial from Pagudpud town is being rebuilt. Zc091. 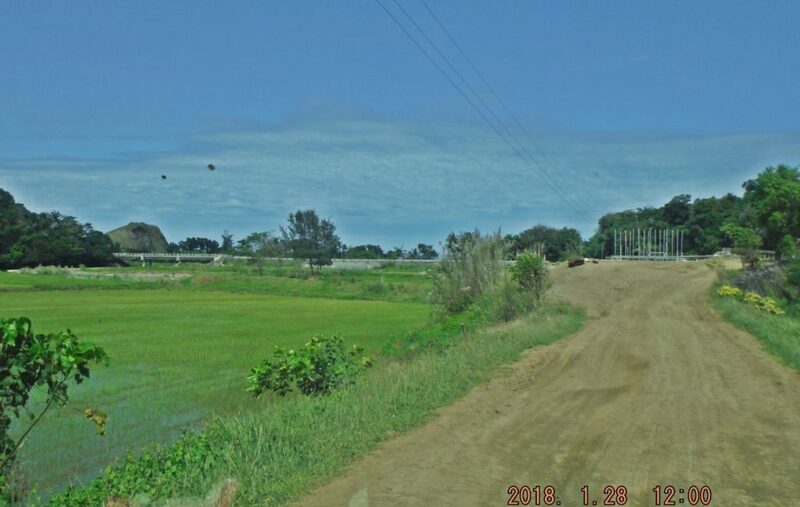 When the old road to the coast and to the USS Stingray Memorial from Pagudpud town reached the coast we discovered a new bridge and road that go to the Bangui Bay. Here we turn right. Zc092. We reached the USS Stingray Memorial at the Caunayan Bay in Pagudpud Town, Ilocos Norte. Zc093. 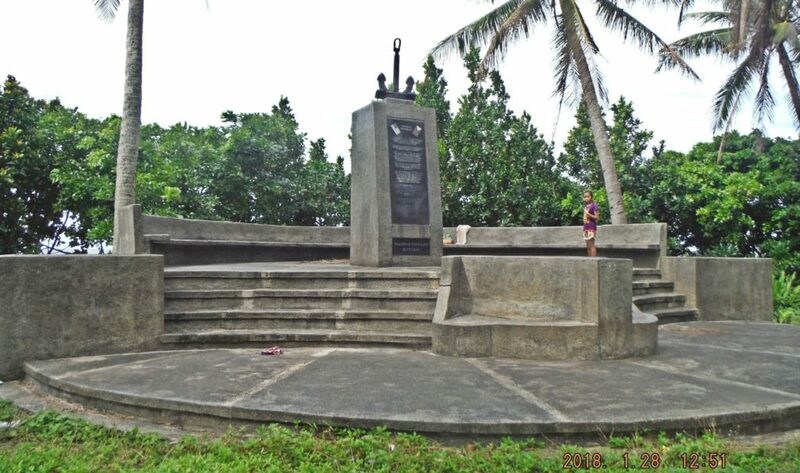 This is the USS Stingray Memorial at the Caunayan Bay in Pagudpud Town, Ilocos Norte. Zc094. 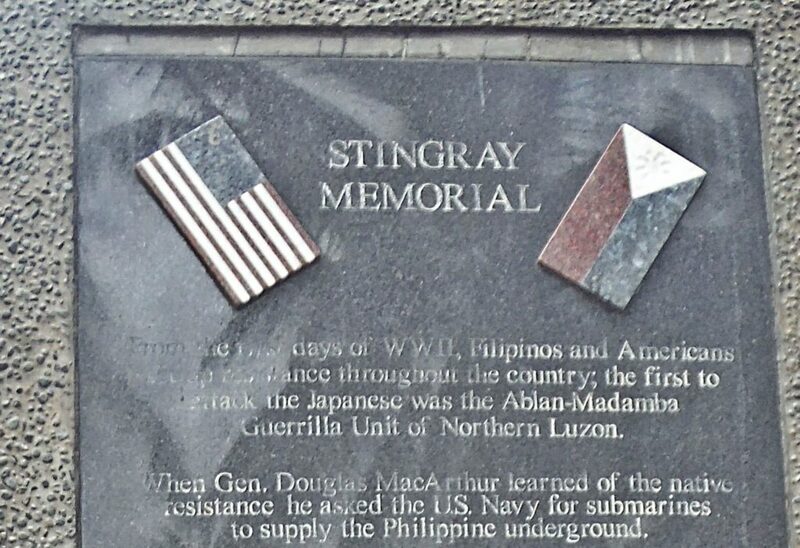 The USS Stingray Memorial at the Caunayan Bay in Pagudpud Town, Ilocos Norte has along historical write-up. 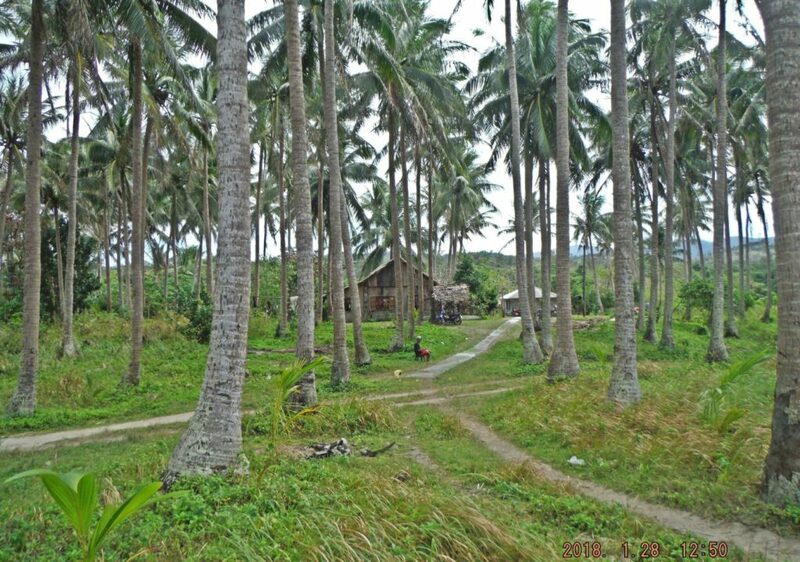 From the early days of WWII, Filipinos and Americans started resistance throughout the country, the first to attack the Japanese was the Ablan-Madamba Guerrilla Unit of Northern Luzon. When Gen. Douglas MacArthur learned of the native resistance he asked the U.S. Navy for submarines to supply the Philippine underground. Cmdr. Chick Parsons, who had earlier escaped from Japanese captivity in Manila, organized and directed the 20 Spyron Special Mission Submarines which completed 49 secret missions; They delivered arms, ammunitions, medicine, radios and specially-trained commandos. The returning U.S Forces were met by 350,000 guerrillas, there were over 200 radio/coast watcher stations sending vital information to MacArthur. 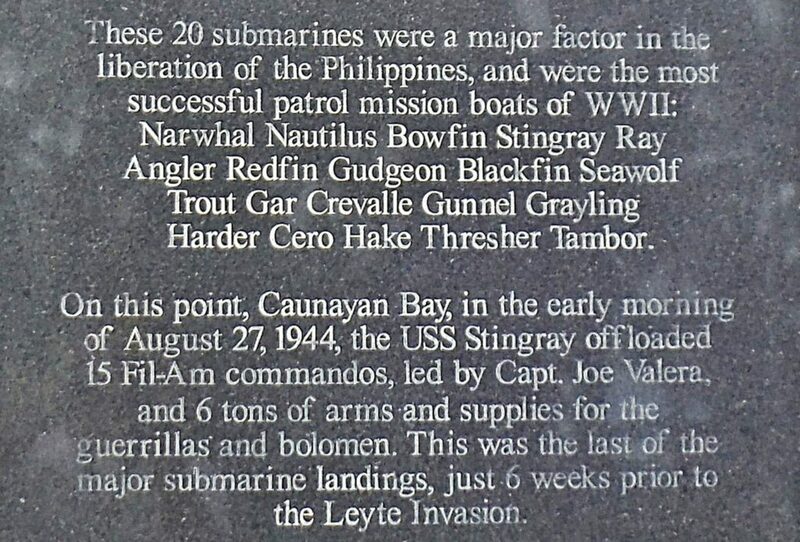 These 20 Submarines were a major factor in the Liberation of the Philippines and were the most successful patrol mission boats of WWII: Narwhal, Nautilus, Bowfin, Stingray, Ray, Angler,Redfin, Gudgeon,Blackfin, Seawolf, Trout, Gar, Crevalle, Gunnel, Grayling, Harder, Cero, Hake, Thresher, Tambor. 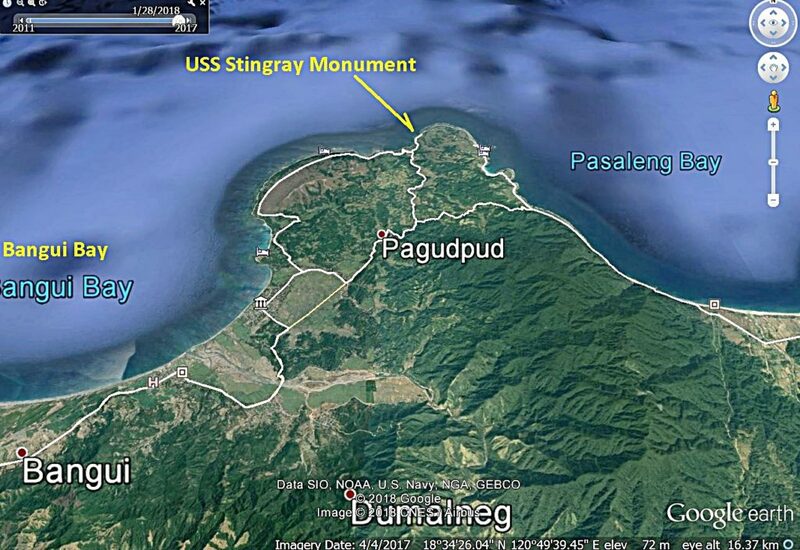 On this point, Caunayan Bay, in the early morning of Aug. 27, 1944, the USS Stingray offloaded 15 Phil-Am. Commandos, led by Capt. Joe Valera, and 6 ton of arm and supplies for the Guerrillas and bolo men. This was the last of the major submarine landings, just 6 weeks prior to Leyte Invasion. The anchor and chain represents the loss of 9 of those submarines who left them behind in their often-haste departures. 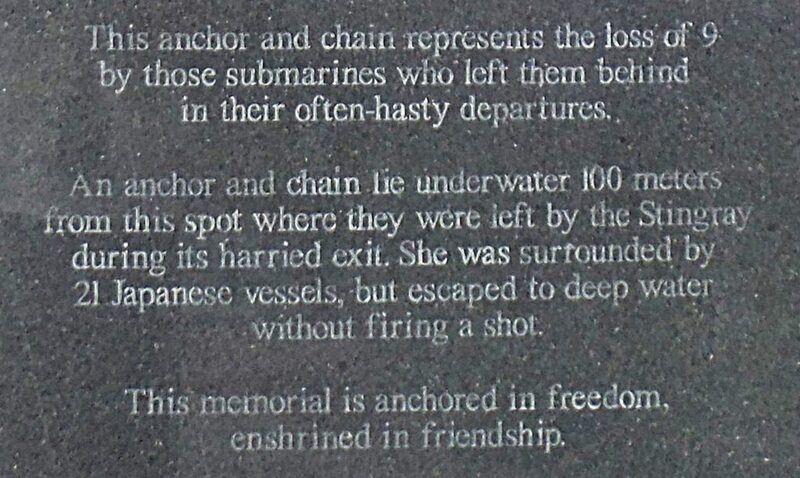 An anchor and chain lie underwater 100 meters from this spot when they were left by the Stingray during its harried exit; they were surrounded by 21 Japanese vessels, but escaped to deep water without firing a shot. This memorial is anchored in freedom, enshrined in friendship. Zc099. 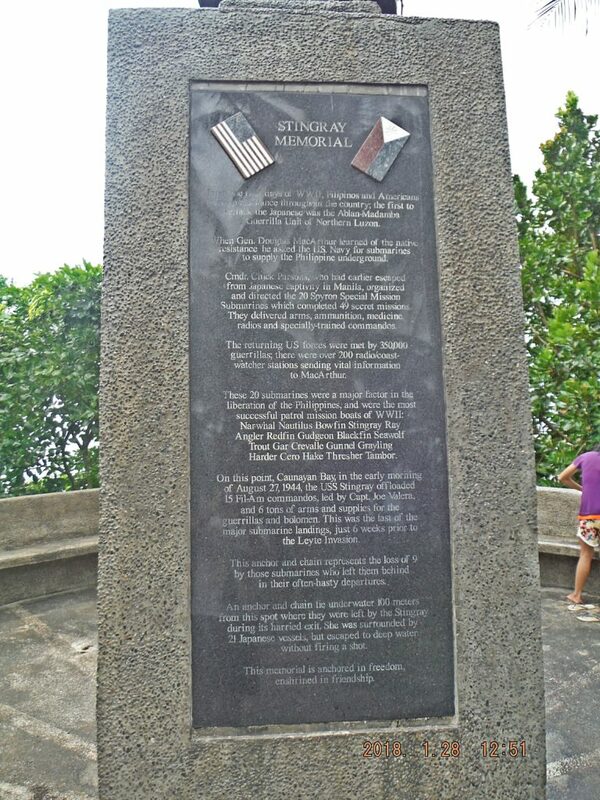 This is the back of the USS Stingray Memorial at the Caunayan Bay in Pagudpud Town, Ilocos Norte. It has a plaque! Zc100. 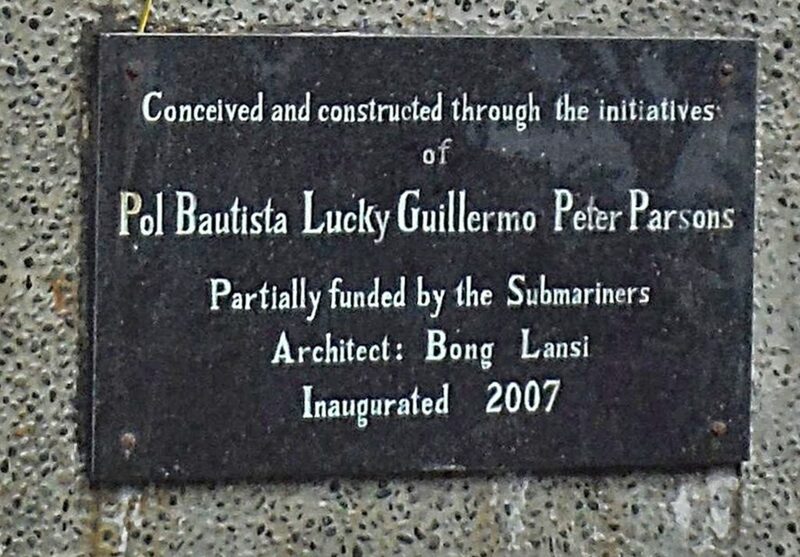 The plaque, attached to the back of the USS Stingray Memorial at the Caunayan Bay in Pagudpud Town, Ilocos Norte, says this: Conceived and constructed through the initiatives of Pol Bautista, Lucky Guillermo and Peter Parsons, partially funded by the Submarines. Zc101. 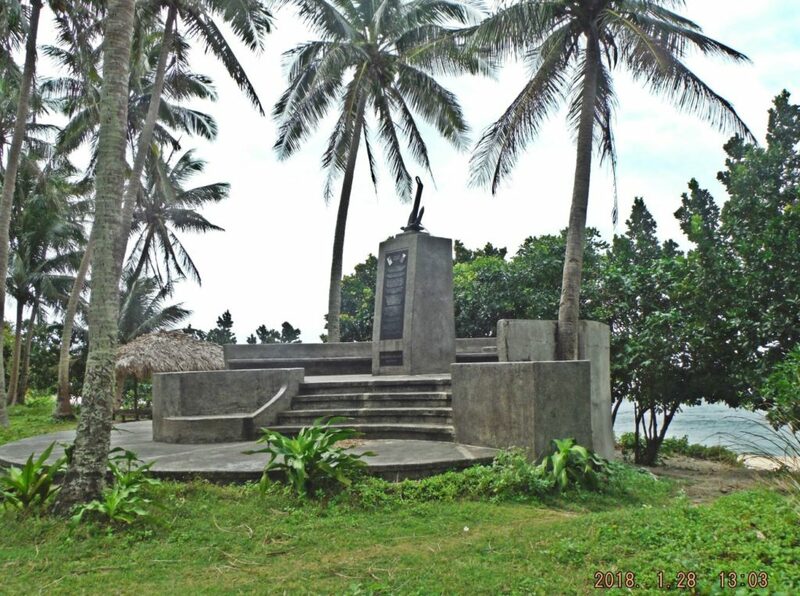 The USS Stingray Memorial at the Caunayan Bay in Pagudpud Town, Ilocos Norte is standing in a coconut grove; we came on that wheel track from the right. Zc102. 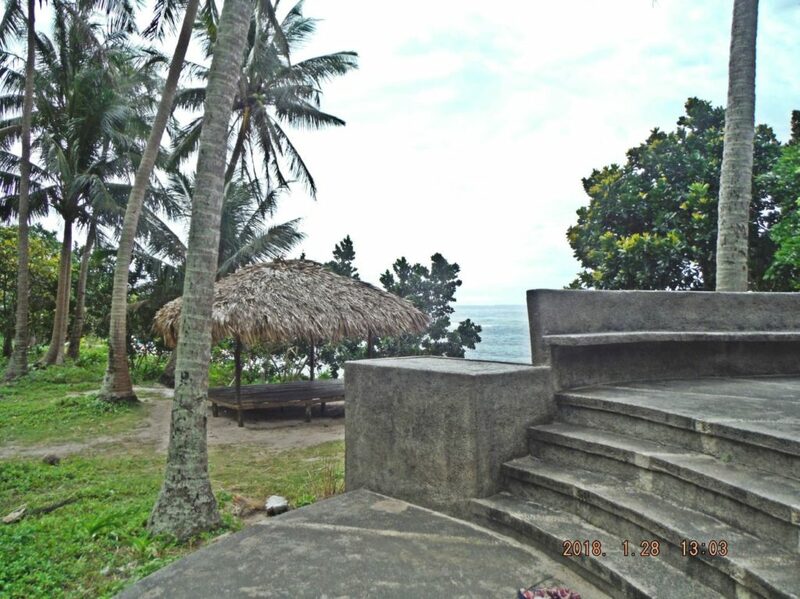 The USS Stingray Memorial at the Caunayan Bay in Pagudpud Town, Ilocos Norte was built next to the beach, people come here for picnics. Zc103. 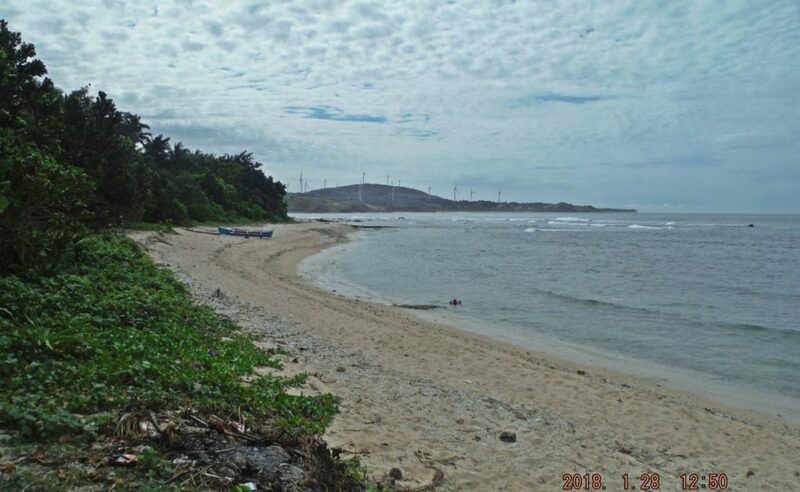 Stepping onto the beach, next to the USS Stingray Memorial at the Caunayan Bay in Pagudpud Town, Ilocos Norte we can see that the windmill generating project of the North Ilocano Province has extended all the way to here. Zc104. Before we actually went to the USS Stingray Memorial we found this road and checked it out all the way to see whether in connects to civilization, it did and we used it to depart. Zc105. 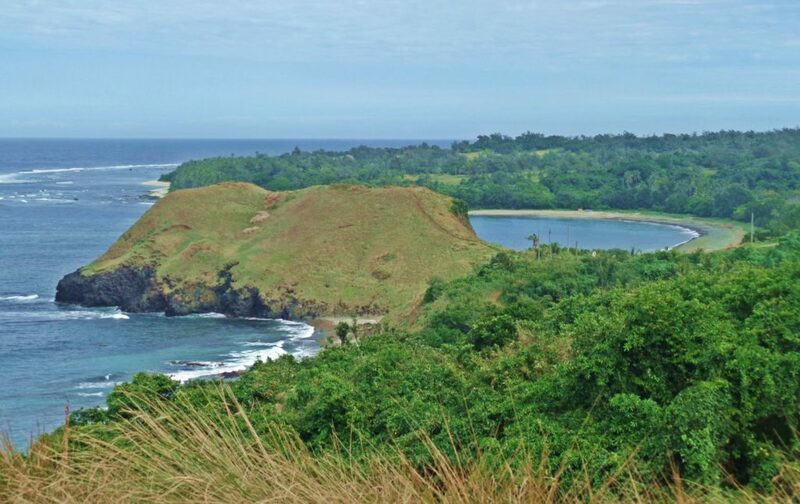 This rocky point sure makes a good landmark, behind it is the Caunayan Bay and along the far beach is the USS Stingray Memorial.Photo credit-Harald Klose.